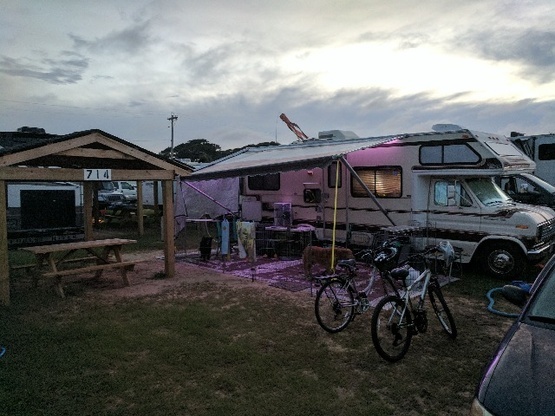 We enjoy camping just about anywhere and love boondocking and welcoming boondockers to our area. Our favorite trip so far has been an 18 day tour of New England. We've made great friends with some of our guests and look forward to making more. He is a retired auto tech so can fix just about anything. She was a tour guide in another life and wants to be one when she grows up. The teenager is an artist. The dogs are great at kisses and snuggles and the cat provides entertainment. Yes, we have 2 dogs and a cat. Dog Mountain in St. Johnsbury, VT. They are not on Boondockers Welcome but they allowed us to stay overnight in their parking lot. It's like heaven on earth for dogs and their people. 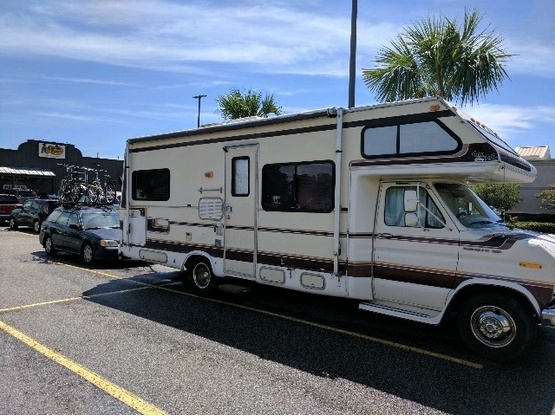 1988 Granville 26 ft. motor home & a car/bikes in tow. We only need to use our generator if there's no electric hook ups. Thanks for a safe and comfortable place to stay for the night. Tracey & Scott were incredibly helpful to me. I had car issues which required me to stay much longer than I originally anticipated. They both went above and beyond with their assistance and generosity. They have 3 very friendly dogs and a large fenced in backyard where my dog got to play with them. I will consider friends for life and highly recommend them as Boondockers Welcome hosts at Lowland Lodging! Even tho they had another boondocker, took care of me too. Tracey and Scott have been such a blessing for me. My car unfortunately has not! Heading here from North Carolina, my automatic transmission fluid overheated, hence my transmission is fried! I need to have it rebuilt, and they are letting me extend my stay until the work is done or/and until their next guest arrives which is on Friday. They are extremely helpful, pleasant, and they have three great dogs that get along with my dog! A nice large fenced in backyard for lots of playtime! Scott has helped me figure out some things with my R-pod which has been very welcoming! I can’t thank them enough for their generosity day and hospitality! I highly recommend Lowcountry Lodging Boondockers Welcome! We had such a lovely time at Low Country Lodge. The hosts were very welcoming and accommodating, hooking us up to electricity and water when we arrived. Summerville has a lovely downtown and we also loved walking through the nearby streets. We look forward to returning one day when the weather is a little bit warmer! The host were very welcoming. They had cleared the spot for us and it was easy to slip into. Also an easy home to find. Very convenient to Charleston. The road nearby does have a good bit of traffic at night so you may want to bring white noise or ear plugs. The dogs are very human friendly. My host were very accommodating. They graciously opened their driveway to me to allow me to work in my Schoolie and came to chat ave visit my last night. Their pets are beautiful and this area is very convient. I thank them for their hospitality, conversation and amazing energy. We had a nice time with Tracey and Scott, they were very helpful and nice. I would go back when in SC. They were wonderful to help park, supply me with electricy and water. Meeting the family, dogs and talk about travels topped off my stay. We enjoyed our stay, great communication with the host. We got some tips about Charleston and also appreciated being able to plug in. We would gladly stay with them again when we're in the area. Tracey and her family were great hosts. They were very responsive and gave us some great tips on how to navigate Charleston. We'd be happy to stay there again. Thanks for having us! Tracey and her family were super accommodating and helpful during our stay with them. Their driveway is flat and level and super easy to get into even with our low clearance trailer. We enjoyed meeting them and sharing travel stories, will definitely be calling them again when we are in the Charleston area. Tracy and family were is helpful on our second stay as they were on our first. We were comfortable and felt very welcome. They are great hosts! 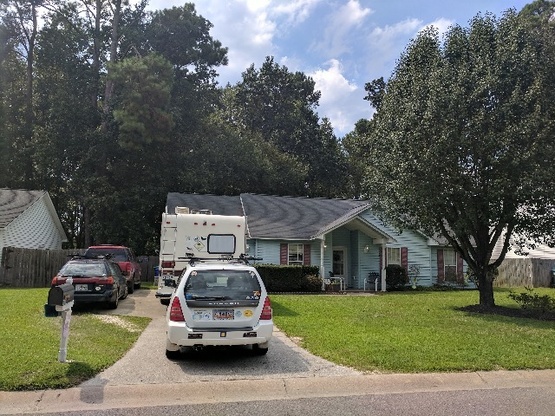 Although our plans changed before we were planning to stay at Lowcountry Lodging and we never stayed all of my dealings with Tracey were wonderful. She had some things going on at her home but she still offered me a spot in her yard. I hope some day we get to meet wether it's in SC or at our house in NY. Very nice to deal with. Had a wonderful time here. Tracy and her family were most welcoming. Very knowledgeable about the area. I really like history and spooky tidbits. Tracy and her daughter filled me in on both. Summerville is a great small town for a day visit. If you do stop here, be sure and visit the pharmacy and find all the little bird statues! Thx Tracy! Great family! So helpful and gracious. Thanks for making our stay so comfortable! Tracey was wonderful. She took me on a tour of Charleston. I saw spots that I would have missed if it wasn’t for her guidance and suggestion. Thanks again for a great time. We stay for only one night in this little town of Summerville which is near to Charleston. 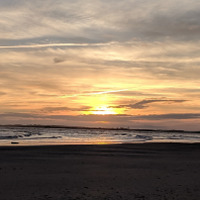 Traceyk73 gave us a lot of information regarding Charleston. They were great hosts. Thanks to both of them ! We LOVED meeting and visiting with the Kaplan family!!!!! Their property is very pretty. There is even a stream running through it. Scott, Tracey, Arianna and their "fur babies" are all such warm, kind, funny and gracious that we would go back in a heart beat!!!! !